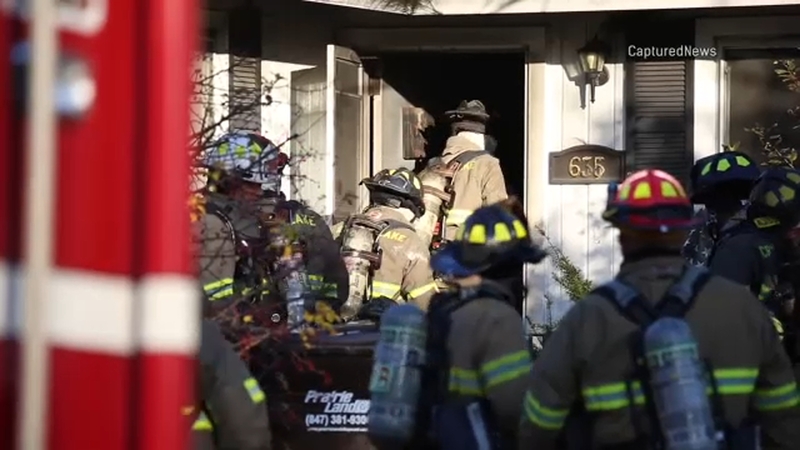 CRYSTAL LAKE, Ill. (WLS) -- One person is dead after a fire in a home in northwest suburban Crystal Lake Monday, fire officials said. Fire officials said they were called to the home in the 600-block of Sussex Lane just after 4 p.m. by police officers, who said there was a fire both inside and outside the home. Fire officials said first responders saw police taking a victim out of the front door of the home. The victim was taken to Northwestern Medicine Huntley Hospital he died of his injuries.